First of all, let me thank you for taking the time from your busy day to read about our practice and the services that we can offer. 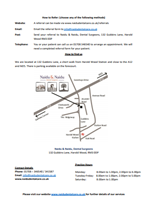 Naidu & Naidu, Dental Surgeons was first established in Harold Wood by my parents, Raj & Pratibha Naidu, in 1979 and, like our little corner of Essex, we have grown and evolved over the years. As the demands of dentistry have altered and the complexity of dental problems become more convoluted, we have found that dentists and patients often require specialist attention either through management, opinions, or advice. 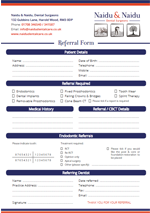 And so, we are proud to be able to offer our specialist services on a referral basis to support colleagues and patients alike in our community. 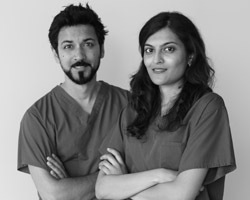 We aim to complement the patient care that your practice already provides and work synergistically towards our common goal: excellent dental care delivered in a relaxing and friendly manner. Thank you once again for taking the time to read about our referral services. We hope you have a great day and look forward to working in partnership with you.